Here is the quick list of the top three dating sites in South Korea. I’ll go into more detail in my reviews later in this article. The best online dating sites in South Korea (simply Korea from here on out) can’t compare to the biggest and most popular dating sites in other other parts of Asia, including Thailand and the Philippines. If you happen to be from the United States, Canada, or Australia, you are probably used to a large array of online dating sites…different sites for pretty much any niche or interest you can imagine. This is far from the case in Korea where only a couple of websites will be worth your time. I’m a big fan of Korea and always have been. I have members of my family who are of Korean-descent, and when I was a child, I used to eat Korean specialties such as kimchi and bulgogi. Korean women can be quite attractive too, and I actually find them a step above Japanese women in the looks department. Your best bet if you are looking to have success is to book a ticket to Seoul and find a hotel or apartment somewhere in the center part of the city. From there, you can then begin to send messages on the sites I mention below and line up dates. If you are determined to get a Korean sweetheart, you definitely can succeed. You will have to work hard and prepare for the inevitable rejections, but that is a small price to pay for having a hot Korean woman on your arm. 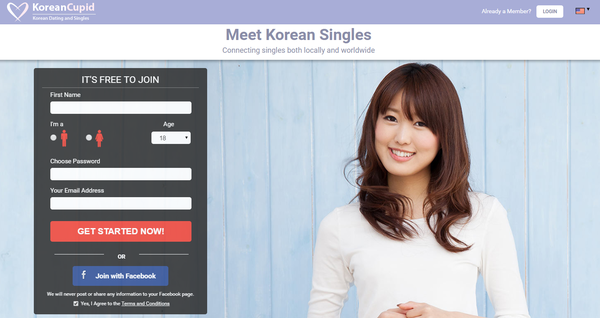 Without further ado, here are my detailed reviews of the top dating sites in South Korea. KoreanCupid is the best online dating site in Korea. If I only had money to spend on one site, this is the site that I would sign up for. KoreanCupid.com is run by one of my most favorite online dating companies, Cupid Media. Cupid Media owns sites that I’ve used in the past like LatinAmericanCupid.com and Afrointroductions.com, when I was living in Brazil and South Africa, respectively. The site was started in 2004 to help singles worldwide connect and match with South Koreans. KoreanCupid is something of an anomaly when it comes to dating sites, because there are actually more women on the site than men. If you’re looking for Korean women, this will be a valuable resource for you as the vast majority of its members are actually from South Korea. Look out for obviously fake profiles using celebrity photos for their profiles though. Life is busy these days, and KoreanCupid makes signing-up a breeze. Start by entering your name, gender, email and a password or syncing your Facebook account. Finish by describing yourself and your life, and what your ideal match would be like. Your profile is not actually complete at this point, but it’s up to you whether or not you want to finish it now, or start searching profiles right away. If you elect to move forward with your profile unfinished, get ready to be occasionally asked to complete a bit more of your profile before continuing. You have two options for searches: browsing matches and performing your own detailed search, narrowed down by criteria such as location, education, body type, ethnicity, and much more. Browsing is helpfully customizable, with different options for viewing profiles and sorting the search results. As a non-paying member, your basic communication options are restricted to visiting profiles, “showing interest” in them, adding them to your Favorites, and sending messages that can’t be read until one of you decides to upgrade to a Gold or Platinum plan. Though upgrading may feel like a forced decision, the perks are adequately rewarding: IM, audio, and even video chat. Video messages – Whether it’s chatting with someone live, sending video messages to potential matches, or posting a video welcome-message on your profile, KoreanCupid puts video to better use than most any other dating site out there. Anti-spam protection – Profile ID verification and vigilant spam-profile removals ensure that for whatever profile you see, the person on the other end will be who they say they are. Message translator – How does it get any better than this? Type out your message as normal, select your target language, click and button, and voila! Just like that, you are bilingual, or at least, close enough. As I mention in my online dating e-book, just like the real world, there will be men or women who you will not click with or who don’t respond to your messages (or just disappear). There will be men or women who might only be interested in helping you to part with your hard-earned cash. That is life. Just keep sending out messages and reach out until you find the person you are looking for and get success. As is typical with online dating, expect a response rate of around 1-10% depending on how good your profile is. (response rate = people who will respond back to you to whom you sent an introduction message). AsianDating.com is part of the Cupid Media network and has over 1 million members. 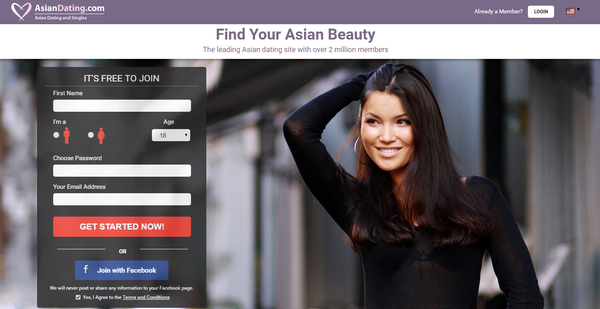 Like the rest of the sites in the Cupid Media network, AsianDating has a user-friendly interface and design. Although sign-up is free, the free membership is limiting; however, the site does provide excellent features to its premium members. My only real complaint with the site was the amount of spam messages I received shortly after signing up. Luckily, after weeding these members out, you are left with real women who genuinely want to make a connection. Overall, AsianDating is an excellent site. If you are Korean or are simply looking to meet a Korean single, then check out AsianDating.com. Signing up for AsianDating is fast, easy, and convenient. You can use your Facebook account to initially join or sign up by typing in your personal credentials on the website. The last step in the sign-up process is to write a little about yourself, specifying the traits you want in an ideal match. Once that is done, sign-up is complete. Although your overall profile is not technically finished, you can leave it as-is for now and begin browsing. 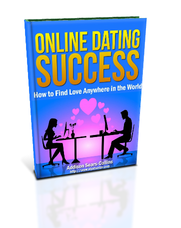 The two methods generally used to find potential mates and ’match-hunt’ are browsing and searching. Browsing offers a mode where you can briefly peruse through matches or access full profiles if desired. The search feature is more extensive and allows you to craft a search according to a specific criteria. This can be age, location, education, body type, ethnicity, lifestyle choices, marital status, religion, and even astrological sign. Naturally, you can save these custom searches for future use. If you’re serious about connecting with other members and forming romantic connections with them in real life, I strongly recommend that you upgrade to a Gold or Platinum membership. Members who are not Gold or Platinum are limited to the few options offered by basic messaging. You are only able to visit profiles, “show interest”, add profiles to your list of Favorites, and send messages that are otherwise private and can only be read if you are a premium member. Upon upgrading, all messages can be accessed, and communications are freely open to both you and your potential match. Media communications such as audio, video, and IM chat options are readily available as well. What sets AsianDating apart from other matchmaking and online dating sites is its unique message translation feature. With this feature, you can translate your messages into your preferred language with just one click. The language barrier that might otherwise pose a problem is completely broken down with this convenient tool. DateinAsia has approximately 1,000,000 registered users, with most of them being Asian women and foreign men. You can use DateinAsia for free, but as would be expected, being free comes with its own set of problems. 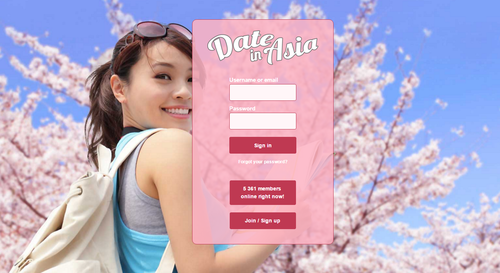 DateinAsia is jam-packed with disinterested members, inactive profiles, and spammy users. Overall, I would say the site is fairly sparse when it comes to features and design. If you really want to find other singles, you might get lucky, but you would probably be better off spending your time on the other sites I mentioned above. To get started you enter your username and password, email address, location, birthday, gender and your match gender. After confirming your email address, you’ll provide your phone number so that you can be verified via SMS. This is supposedly done for security purposes. DateInAsia allows you to skip this step now, but if after 7 days you don’t comply, your profile will be automatically deleted. Once you’ve been verified, you’re asked to provide a catchy headline for your profile, a brief description in the About Me section, and provide more basic information regarding your education, occupation and appearance, etc., along with details regarding your ideal match. Once you upload a photo of yourself, you’re finished. You have a few very basic options. First, if you’re not on the Search tab, you can go to the top of that page and see a bar containing random profiles for you to browse through. If you want to use the Search tab, you can browse through the member profiles looking for someone you’re interested in, or you can use the Basic or Advanced searches. Using the Basic search you can filter them by age, gender, and location. Advanced searches allow you more filters. These filters are selected when you signed up and include things like, religion, appearance, occupation, etc. You can also see who has shown an interest in you or visited your profile. Options for messaging are fairly basic, just like the rest of the site. You can find and add Favorites, send text messages only and “show interest.” You can indirectly communicate with someone by visiting their profile, and they will be notified of this. This helps you draw attention from others, as they will view your profile out of curiosity. DateinAsia is unlike any other dating site I’ve seen in that it has no special features. Not a single one! This site is just bare bones and very basic. Standard – This is the one and only level, and everything is included.